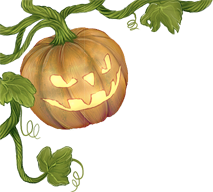 Halloween creatures will flood the Stream from October 25th up to and including November 1st. Detailed release information can be found in the Creature Release News thread once the creatures are released. There will be a new quest beginning in the Keep starting from October 25th. You can start the quest at any time and finish it even after the event. The quest lasts for several days so you cannot complete it within a day. You cannot start the quest after the event is over, but if you have started it during the event you will be able to finish it. -The egg limit is raised with one for the duration of the event starting from October 25th and up to and including November 1st. This means that you can get 6 eggs, and 8 if at least the last two you pick up are Donation Pet eggs. 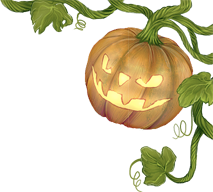 It's a solemn day when the pumpkin patches are closed off, but you see the signs up all around the Keep's gardens reading: Pumpkin Quarantine! Students, Please Keep Cukurbas Away. If you get too close to the magical enchantments surrounding the patch, you can feel a force pushing you back and hear a faint ringing. Apparently the crops in some nearby villages have been succumbing to a sudden late-season rot, and the Keep's teachers are worried about it spreading. They've been cordoning off all unaffected patches from here to Synara and restricting the local cukurbas to other gourds until they can fix the problem. A huddle of the giant tortoises are sitting a nearby patch of butternut squash, some of them looking longingly at the pumpkins behind the barrier. "Don't let them trick you; they're fine eating other squashes, they just like the taste of pumpkins best." A student from the Herbalist Guild comes around the corner with a bundle of lettuce, which prompts some of the cukurbas to perk up and waddle their way over to you. "Still," the other student says, "it's a pity we won't have extra pumpkins for the Harvest Festival decorations. I hear out in Synara, they're decorating eggshells for the Harvest instead. We have plenty of those around here; we ought to try that too." The cukurbas don't say anything as they munch on their squash and lettuce, but you're pretty sure they agree. - Decorate an egg. You can use whatever materials you like and decorate it however you like, provided you don't plagiarize other works. Feel free to decorate your eggs based on Magistream creature eggs, though. - You can use any real or fake egg, but it must be a physical 3D object and you must decorate it yourself. - All entries must include a photograph of the egg. Include a placard with your name on the front when you photograph your egg so we know it's yours. - You can enter up to five different entries. - Entries must go in the Competition Entries subforum. - Members of the MS staff are not eligible to win prizes, but may enter if they desire. - We don't guarantee that we will use your egg design on any part of the site, but we reserve the right to use any prize-winning designs. - The contest will run from this moment up to and including November 3rd EDT.